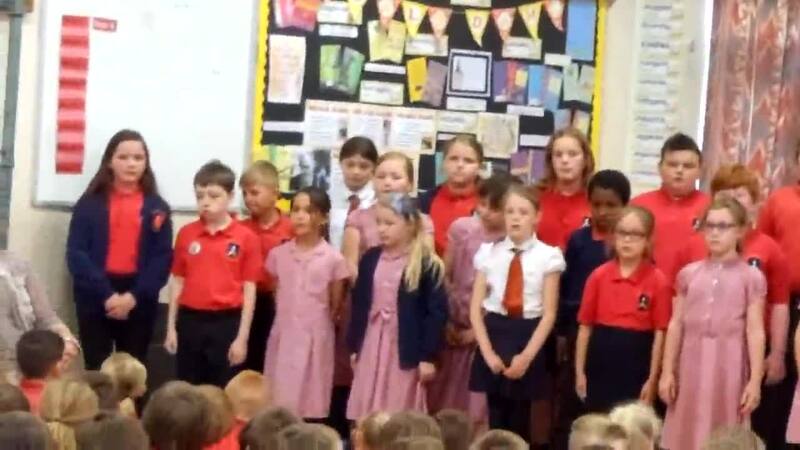 Glee club takes place every Wednesday lunch time and Monday afterschool where pupils from year 3, 4, 5 and 6 learn new and exciting songs from across the era's. The Glee Club is run by qualified musicians/ vocalists and children learn a variety of singing techniques as well as different singing styles. We're currently working on producing a concert for parents - songs from the shows and Disney. The Glee Club attended a recording studio in 2016 to record a large selection of the songs they have worked so hard on and we are hoping to do something similar very soon! Glee Club performing for Major S M Hardy TD DL and Council Dignitaries at the winning presentation of the West Yorkshire 90th Birthday Card Competition - winner Jaycee McPhail in Year 4.